Is Your Business Model Under Threat and Your Survival at Stake? In any large successful business today parts of the business are performing well while other parts are ailing. Multinationals like Ford Motor Company and Starbucks are performing well in some countries, but not in others. Samsung and Ikea have high market acceptance of some products, but not others. But, what’s important is to determine if your core business model is under threat. If it is, your very survival is at stake. Consider what is happening to the traditional postal service corporations like the US Postal Service (USPS), Royal Mail (UK) and Australia Post. Virtually all national postal services originated from government owned and legislated monopolies when letters were the primary source of written communication. These organizations created thousands of bricks and mortar post offices and shops, a large transport infrastructure to deliver letters using thousands of postal staff. The digital revolution has changed all that – letter volumes are declining rapidly, with consequent ongoing and growing losses for incumbent mail services. The business models of traditional postal corporations are under attack from all sides. Take Australia Post. Like many postal corporations it has developed a growing profitable parcel delivery service fuelled by online consumer purchasing. It is providing new services like its digital mailbox for business and consumers. But profits from these new lines of business are being eroded by losses in the traditional letter delivery business and from competition. Both Singapore Post and Japan Post have purchased courier companies to compete in the Australian parcels delivery market. Also Uber Rush is allowing people to order pickup and delivery of packages using the Uber app. Last year Volvo trialed a service called Roam Delivery that allows retailers to drop off merchandise inside your parked car. All of this adds up to intense competition for Australia Post. Much the same is happening to US Post and Royal Mail as well as other incumbent mail and postal services around the world. How can organizations like Australia Post survive? They must develop and strengthen a customer-centric culture as the foundation of their organization and as a basis for long-term competitive advantage. This means that they must have strategic alignment with their markets and customers where an understanding of current and future customer needs and current and potential future competitors is factored into their strategies and supported by everyone in the business. This knowledge and mindset must become embedded in all of their businesses and throughout all functions in their organization to enable them to become more agile, competitive and innovative to create superior value for their customers. That in turn will help to drive ongoing growth and profitability. The postal organizations around the world seem to be at different stages on the journey to customer centricity. New Zealand Post is probably one of the most competitive being one of the earliest to have its mail service deregulated in 1998. It is now two years into a 5-year transformation plan and is showing improvements in overall profitability. USPS lost US$5.5 billion in 2014 despite its growth in package services and has a lot of ground to make up. Australia post is profitable, but profits are declining from the impact of mail service losses and there is now a strong focus on developing a customer culture. Is your business model under threat? You can measure where you are in terms of customer centricity and what stage of the journey you have reached by exploring the roadmap provided in the award winning book The Customer Culture Imperative: A Leader’s Guide to Driving Superior performance. 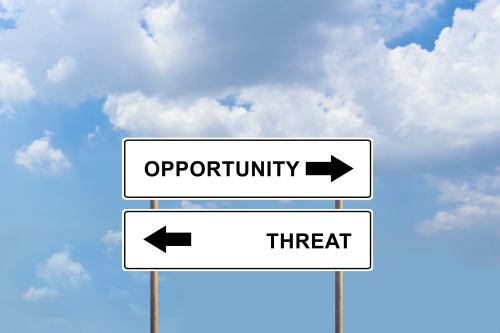 This article was syndicated from Business 2 Community: Is Your Business Model Under Threat and Your Survival at Stake?